To change your preferences on an iPad, tap the Gear icon in the upper right corner of the screen. To change your preferences on an iPhone, tap the Menu icon located in the upper right corner of the screen. 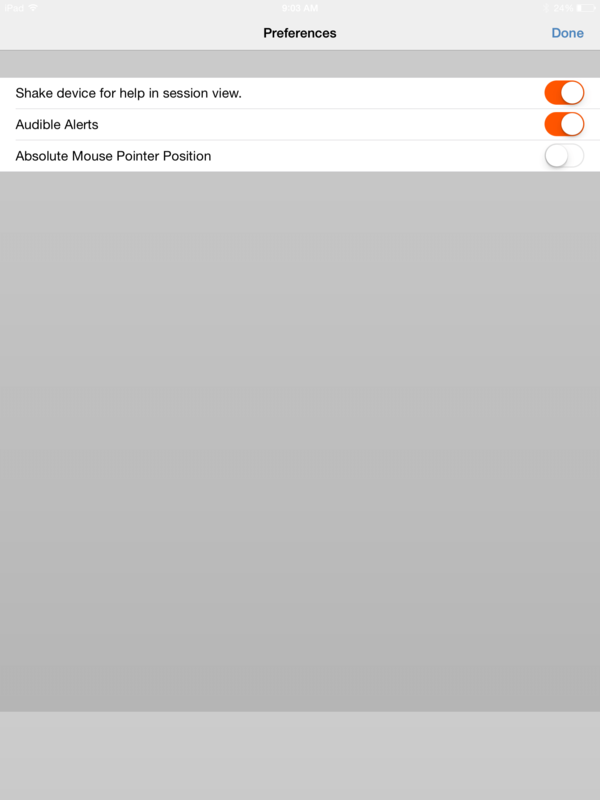 Audible Alerts iPad and iPhone If enabled, your device will play audible alerts for certain events that occur within the access console. Absolute Mouse Pointer iPad and iPhone If disabled, you must place your finger on the mouse pointer and drag to move the mouse. Tap and hold to locate the mouse pointer when absolute positioning is turned off. If enabled, you can place the mouse pointer wherever your finger touches the screen. 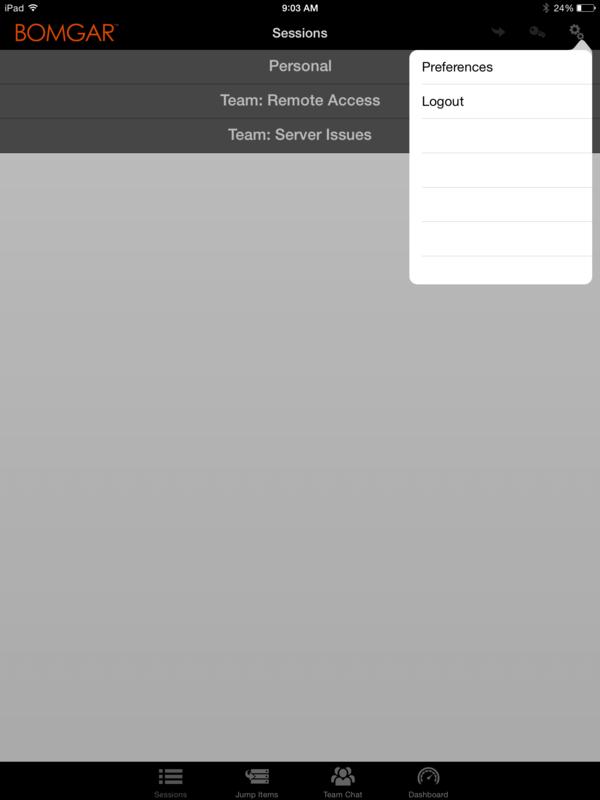 When absolute positioning is enabled, tap and hold to open a fly-out menu from which you can choose different click methods. Shake device for help in session view iPad only If enabled, you can simply shake the device to generate the Screen Sharing Gestures guide while in an access session.